From New York to Puerto Rico, Arcángel has founded his career on the foundations of sweat and effort. Perhaps seeing his mother immersed in the world of music, helped him to take that same path from a very young age. A path for which he’s now recognized for. When Arca (as some of his fans call him) was 17, he graduated from high school and decided, without hesitating a single second, to opt for a microphone instead of a cubicle. Arcángel never denied it: he didn’t want to go to college. He wanted to sing for others, and that's why, next to De la Ghetto, he started to fight for his spot in the industry. 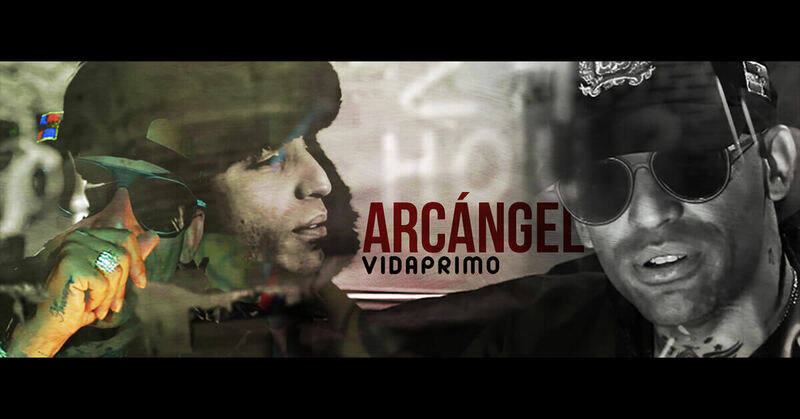 In 2005, Arcángel had already begun to collaborate with big heads like Don Omar, and in the following years he signed with Baby Records, a label that, although it also brought conflicts, led him to have quite recognition in the urban genre. Tracks such as ‘Ven pégate' were played in every party that was attended, and with it, the names of Arcángel and De la Ghetto, started to sound familiar. The first video of this duo, ‘Sorpresa’, captures Arcángel at its earliest time, with an early style that, compared to videos like ‘Ya me acostumbré’, as the same Austin Santos said, nobody starts to live driving a 200 thousand dollars car, or having parties with champagne and squandering. Our beginnings in the adult world are given by situations such as college love and break-ups, a daily scene that’s shown in 'Me Prefieres a mí’ and that challenges the typical aesthetic present in reggaetón videos. When Arcángel was able to buy the car of his dreams, a four doors Panamera Porsche, Daddy Yankee bought the same car, and that, for "La Maravilla", was a sign that he was doing well, indeed. Want to know more about Arcángel? Read his complete bio here.